If your baby likes to be swaddled we suggest purchasing the SwaddleBuddy Suit. 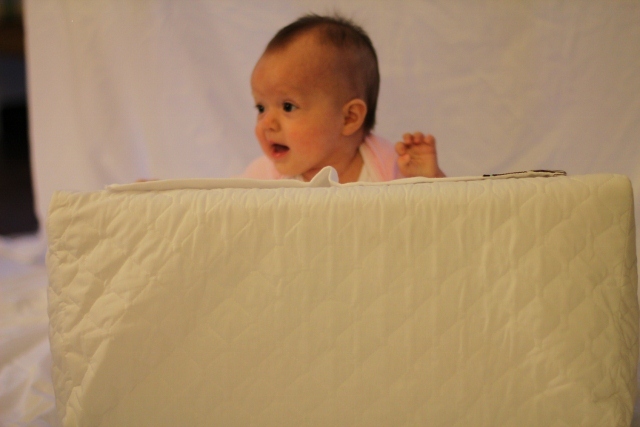 Watch your baby very carefully the first few times you place them in the pillow to make sure they are safely secured. Never leave your baby unattended. AR Pillow is the only sleeping wedge for babies on the market today that provides 3 positioning options so you will never make the mistake of purchasing the wrong wedge design. 1-the baby is safely and securely placed in a natural sleep position that will help prevent refluxing and provide for easy transition off the pillow once he/she outgrows acid reflux. 2 and 3- The Prone Sleeping Position (on the stomach) or Supine Sleeping Position ( on the back) some babies with reflux and breathing disorders (usually Preemie or low birth weight Babies) need to be inclined but have legs extended along the same plane as the body where the baby's entire body is resting on the wedge. 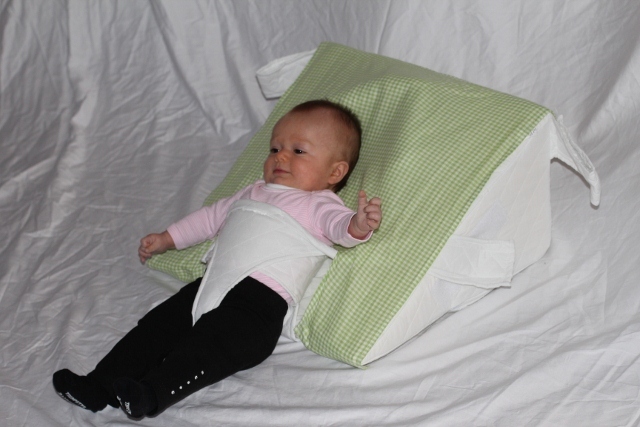 AR Pillow products have been designed in conjunction with leading pediatricians and feeding specialists to relieve reflux and colic safely and naturally! The entire line has been reviewed for safety by product engineers.